The BBC is reporting that the Brazilian government recently completed a low altitude flyover of an "uncontacted indigenous tribe" that lives in the dense forest near the Brazil - Peru border. They took the pictures to prove the existence of this tribe in an effort to convince logging interests to support the protected status of this land. 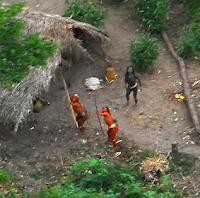 According to the story, Brazil is home to more than half of the world's uncontacted tribes. In their own version of the "prime directive," Brasilia has no intention of contacting, or allowing contact with the tribes preferring, instead, to respect their autonomy. Here is my question: would Jesus have us make contact in order to share the gospel with them? What is the evangelical imperative in this situation? P.S. Yes, that is a real picture. For more pictures of funky looking Brazilian native dudes, click here. I've been rightly accused of writing some, shall we say, pointed letters over the years. Every so often I have picked up the pen, or pecked at the keyboard to take someone or some organization to task. Occasionally I have regretted my remarks. Breitbart carried a story today about a woman who lived for 58 years in an "iron lung" machine. Stricken by polio at age 3, she lived to the age of 61 when, earlier today, she passed away due to a power failure and her family's inability to start up their backup generator. She graduated High School, received an honorary college degree, and wrote a children's book, all in her confined condition. Amazing. 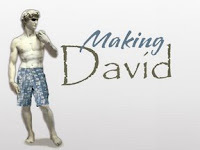 I am beginning a new sermon series, Making David, this Sunday at South Lansing Christian Church. Imagine Michelangelo walking around the stone that would become David. The six-foot high slab of marble awaits his chisel. Blow by blow, bit by bit, this master artisan shapes the shapeless into a masterpiece. Surrounded by shards of stone, he lays down his tools and stares in wonder at the form that has emerged. It is finished, perfect, a work for the ages. God shapes us into who he wants us to be, too. The artist’s medium is stone or maybe clay; God works in flesh and blood. The artist uses his hands, a mallet, chisels of various shape and size; God uses people in our lives to make us into who he wants us to be. Our relationships – both those that are good and those that are bad – shape us and mold us. It is unlikely that David would have become “a man after God’s own heart” without the people he experienced – and in some cases endured. I think of some of the people who have helped shape me into the person I am today. I remember being fired from one of my first jobs. I baled hay for my uncle Miles. He told me to be at the farm at 10 AM but, because of problems with the baler, the first load didn't arrive until well after lunch. When it came time to settle up, I complained about not being paid for the time I wasted waiting. Big mistake. Uncle Miles never called me to bale again. The lesson: choose very carefully when and if you plan to confront the boss. I remember the encouragement of Pearl Gerner and Mary Pearson in my early years and Lloyd Mealer in more recent years. They helped me to find and follow my calling. I am grateful for friends like Fred and Mike and Mike and countless others who stand beside me whether they've been next door or in the next state. There have been a couple of Nathans in my life, too - people who've lovingly but firmly confronted me when I messed up. I once planned a church-wide, month-long prayer emphasis while the Senior Minister was out of town. He returned from vacation to find out his Associate Minister had committed him to preach on prayer for the next few weeks. Gary was really cool about it, but he made it clear that I needed to communicate better. All of us have people in our lives who have helped shape us. Who has helped shape you? Headed back to central Indiana on Sunday to preach at the Judson Road Christian Church. Tracy and I were really blessed to begin full-time ministry with the gold folks at Kokomo Church of Christ, as they were then known. Dr. Gary Carpenter was my "boss," mentor, and encourager. Gary is still preaching at Judson Road. He is, quite simply, one of my favorite preachers. Gary is away on a well-deserved sabbatical. Tracy and I are looking forward to seeing the McCartys, the Russells, the Snows, the Kuhns, the Baers, and regular Frankly Speaking reader "Bruce," and dozens of other people who played a huge role in our early ministry years. We might even cruise through Highland Park to see "Old Ben." It oughta be a great time! He touched me . . . Since switching to the Mac, I've struggled to find a PDA that played nice with the Apple. Finally, with the acquisition of an iPod Touch, I've landed on a solution. The Touch is basically and iPhone without the phone or the camera. It keeps my contacts, my email and my calendar. the early review: I love it! The best part of the deal is we were able to do so without costing the church any bucks - thanks to the creativity of Wally Lowman. We sold the old PDA on eBay and transfered the phone service from the Treo to the Razor. Chad gets the Treo, Frank gets the iPod, and Wally gets a big wet kiss. Every time I think I've seen it all . . .
Read tonight that some dude is selling Gideon's Bibles on Craigslist. Bibles that he freely admits he took over the years. In all fairness, he's willing to sell them at a discount . . . if the bidder is a Gideon. 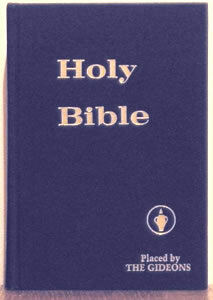 Only $50 for 67 King James Bibles. Hurry while they're still available. Hey there Frank, thanks for your interest in those bibles. Their a good deal as you can tell. Let me know when you can come pick them up. I can't let my ex wife know about the sale cause I owe her some money and don't want her to get any of this, you know where I'm coming from. The bibles are in her basement so we would have to go over when she is at work. My car is in the shop so I can't bring them to my house. Let me know when you can meet me there. Back on the market . . .
Our family just returned from Butler, Indiana. We spent the day cleaning our old home at 205 W. Oak St. We sold it late last year to a young couple. They purchased the house on land contract but, sadly, they moved out recently. Consequently, we find ourselves needing to sell the home again. It is a real beauty, and priced to move. 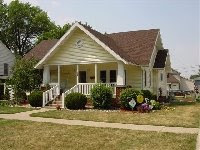 If you know someone who is looking for a nice home on a quiet street in a great little town, please send them my way. You can email me by clicking on the link to the right. You can also click here to see our Craig's List listing. Went for a jog tonight. The spring colors were amazing. Pink and lavender crabapple trees in full bloom lined Degroff Street. Purple lilacs are blossoming. The tulips are hanging on, as are the few forsythias that haven't turned green. Even the magnolia trees seem unready to cast their blooms just yet. The most amazing thing about the run, though, was the plethora of smells. At every turn there was some new sweet scent wafting across the humid evening breeze. This morning I am preaching about our identity in Jesus Christ. 1 John makes it clear that we are children of God. Yesterday my son got his United States Passport in the mail. He intends to put his first stamp in it on a mission trip to Mexico this June. He is a documented United States citizen now. He has certain rights and privileges. He can live and work here. He can freely cross our nation's international borders. He can run for President when he is thirty-five and try to clean up the messes that this year's candidates are likely to leave when they walk away from the Oval Office. As believers in Jesus Christ, we have rights and privileges, too. John wrote that, "he who has the Son has life." Our belief in Jesus provides us with a passport, so to speak, that enables us to cross far greater borders than are here on earth. With Christ, we cross over from death to life! A man's gotta do . . .
Several have asked aloud why my posts to Frankly Speaking have been less frequent of late. The simple truth of the matter is this: I've taken on a temporary part-time job. Tracy and I are participating in our church's Financial Peace University class. Many are familiar with this great money management class that is taught by Dave Ramsey. In it, he teaches students to take "baby steps." Baby step one is simple: get $1000 in an emergency fund. So, when the opportunity arose for me to take on a three week gig grading standardized tests for a company named Pearson, I jumped at it. The job will enable me to bank about $750 in three weeks and will put me well on my way to starting a healthy emergency fund. Regrettably, the job is five days a week from 6-10 PM. This has been less than ideal for me and my family. Still, I can't help but feel a little like Pa Ingalls heading off to the rock quary to find work after the failed wheat harvest. (For those of you in the You Tube generation, that was a Little House on the Prairie reference.) There are times in life when a man's gotta do what a man's gotta do, and going the extra mile to ensure my family's financial peace is one of those times. Then again, when I think of the sacrifices that mothers and fathers all over the globe make for their children every day - going without food, working twelve hour days every day, serving in the military far away from home, giving up their lives - my working an extra shift for three weeks seems like nothing. The more I think about it, in fact, the more grateful I am that God gave me the opportunity. 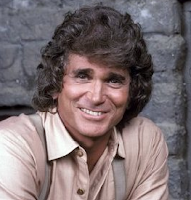 So much for the Charles Ingalls analogy . . .